King Stephen was in deep trouble in February of 1141. It was a period in English history which some historians have labelled “the Anarchy”. 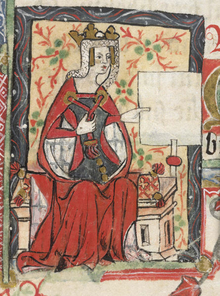 When King Henry I of England died on December 1, 1135, his daughter, the Empress Matilda was in Anjou, pregnant and unwilling or unable to claim the throne of England. Henry had made the nobles and religious men swear an oath three different times to support Matilda as his heir. But Henry’s favorite nephew Stephen of Blois saw an incredible opportunity. He sailed immediately from the continent and landed at Dover. The nobles supported him straightaway although some had reservations about breaking their oaths to Matilda. There weren’t many men who relished being ruled by a woman or by her husband Geoffrey of Anjou whom they considered a “foreigner”. By Christmas, Stephen was crowned King of England. Stephen had an easy time gaining the throne but would find holding onto it a colossal challenge. The first couple of years of his reign were somewhat uneasy. There was intermittent fighting between nobles, rebellions in Wales and the King of Scotland, Matilda’s nephew David I invaded England on the pretext of supporting his aunt for the throne. In the fall of 1139, Matilda arrived in England, staying with her stepmother, Adeliza of Louvain at Arundel Castle. Her illegitimate half-brother Robert of Gloucester was her primary supporter and may have even convinced her to press her claim to the throne. Over the next two years, there were sieges and attacks on castles, the typical sort of warfare for this period of history. Matilda’s party, known as the Angevins after her husband the Count of Anjou, made some gains in land and castles. Stephen would always act swiftly in attacking back. But Stephen’s support from the barons would remain half-hearted throughout this conflict. Whenever he tried to discipline his magnates, they could always forsake him for his opponents and receive their protection, thoroughly undermining his position. He could rarely rely on his troops being one-hundred percent behind his cause. Both sides relied on mercenaries in the fighting too and this tended to reduce the morale of Stephen’s troops. In an effort to sustain support from his nobility, Stephen juggled with awarding different earldoms among his barons. In 1140 he made William of Albini the Earl of Lincoln but in doing so, he had enraged William de Roumare and his half-brother Ranulf, Earl of Chester. These two men did have a strong claim to the earldom and seized the castle by trickery. These two brothers harshly mistreated the people of the town and the townspeople appealed to the King for help. Stephen was in London where he intended to celebrate Christmas when he received the summons. He decided to besiege the castle. The people of Lincoln opened the gates to him and he set up throwing engines and began battering the walls. Ranulf, Earl of Chester decided to switch his support to Matilda and Robert of Gloucester. They were delighted to accept Ranulf’s help and Robert raised a large force including troops from Wales and set out to relieve the siege of Lincoln Castle. The night before the battle, there was an appalling storm with thunder and lightning, rain and hail. On February 2, the morning of the battle, Stephen attended mass at dawn in the cathedral. During the service, according to ritual, the king carried a lighted candle. But the flame went out and the candle broke. Another candle was found and relit but the chroniclers saw it as a bad omen for the king. Stephen’s force was only large enough to conduct the siege of the castle with the addition of local forces from the town of Lincoln while Robert of Gloucester led a much larger force. Stephen was informed of the Angevins approach and called a council to discuss what to do. Stephen’s advisors strongly urged him to leave a garrison to defend the castle and for the king to leave and seek reinforcements. The clerics urged him to avoid a pitched battle because it was Sunday and to seek peace negotiations. But Stephen insisted on staying. It was a decision he would come to regret. The exact sequence of events of the battle are difficult to construct from the chronicles but it seems the Welsh forces attacked first and were routed. But during the rout, the royalist forces were attacked by Angevin cavalry under Ranulf, Earl of Chester. Stephen’s most respected captain William of Ypres, along with other royalist barons and the troops fled the field before engaging in any serious fighting. This was a momentous sign that Stephen’s troops were outmanned. Stephen himself was leading a force on foot which was now surrounded and being closed in on all sides. There were a handful of barons by this side. The noise and shouts of the battle was deafening as arms and helmets flashed in the air. Stephen fought hard and bravely with a sword while men recoiled from his terrible arm. Eventually the sword broke and a citizen from the city of Lincoln handed him an old double-headed battle axe that would have been more recognizable to an Anglo-Saxon warrior than a Norman soldier. According to the chronicler Robert of Torigni, Stephen fought “like a lion, grinding his teeth and foaming at the mouth like a boar”. Then his axe broke. He only stopped fighting when one of the men from the opposing side hit him over the head with a rock, a most unchivalrous action. He was taken prisoner and when he came to, he vociferously complained that this was no way to treat a king and that the enemies were breaking their faith. Some of the surrounding men actually burst into tears at his words. Stephen was taken before Empress Matilda at Gloucester and then moved on to Bristol where he was confined in chains. Based on the precedent of King Henry I’s brother Robert Curthose, Duke of Normandy, who had been captured and imprisoned for the rest of his life, the nobility expected Stephen would never emerge from captivity. Therefore, Empress Matilda was recognized by the church as the legitimate ruler of England. She took the title “Lady of the English”, secured the treasury at Winchester and made her way to London for her coronation. Stephen’s queen, Matilda of Boulogne, took immediate steps to secure his release from prison. She promised he would enter the church for good or go into exile. The Queen also begged for her son Eustace to retain the property that his father owned before he became king. The Empress refused these overtures and Queen Matilda was forced to raise troops and fight. The Queen bore down on London where the Empress had alienated the Londoners by demanding a tax to fight the war. When the Londoner’s refused, the Empress exhibited haughty behavior and the mercurial Norman temper. She narrowly escaped from London followed by Queen Matilda’s army and made her way to Winchester where again, she was driven away. Robert of Gloucester helped her escape but was himself captured. The Empress knew she would make no gains without Robert and tough negotiations began. It was agreed that Stephen would be released in exchange for Robert’s freedom. The prisoner exchange took place on November 1 and by early December, a council of the church had restored Stephen to the throne. But the fighting was to continue as before. All of the Empress’ adherents were excommunicated except for Matilda herself. The Christmas celebrations at Canterbury included a crown wearing by Stephen on the feast day. Stephen was king again but the Anarchy was to continue until peace was made with the Treaty of Wallingford in the summer of 1153. 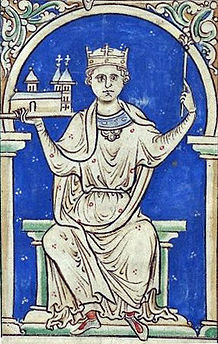 It was agreed that Stephen would remain king until his death at which time, Matilda’s eldest son Henry would take the throne. When Stephen died in October of 1154, he would become King Henry II, the first of the Plantagenet kings. Pingback: I Went Spinning Back in Time | et tu, Bluto?